For whatever reason–be it a drug test, tolerance break, nutrition, or something else–you’ve decided to detox from cannabis. Although detoxing is sometimes synonymous with withdrawal, a THC detox won’t leave you shaking, sweating, or tweaking out. That said, depending on the frequency and quantity of your consumption, it’s still possible to experience unpleasant symptoms. These side effects are temporary and may not affect everyone. Those with trouble sleeping, for example, may find that their sleep quality was increased when consuming cannabis, and difficulty may return with a THC detox. Individuals who use cannabis regularly should consider that their body has become accustomed to an outside source of cannabinoids, so it can take several days of adjustment for the body to return to its own naturally produced endocannabinoid levels. Since excess THC is stored in fat cells, it may take a few months to work through the reserves. However, most people do not experience withdrawal symptoms lasting more than a few days, unless cannabis was being used medicinally for conditions such as depression, anxiety, low appetite, or insomnia. So are there any positive side effects? If you’re one to enjoy dreaming, you will be happy to hear that most people experience an increase in vivid and lucid dreams while abstaining from cannabis. Why is this? Cannabis decreases time spent in REM sleep in favor of deeper, more restful sleep known as “deep sleep.” Deep sleep is when the immune system is strengthened and the body repaired. However, REM sleep is when the brain is most active and dreaming is more intense. The increased REM sleep following cannabis abstinence should lend to more interesting, complex dreams, which will likely be considered a positive side effect for those who enjoy dreaming. If you use cannabis medicinally, there may be some natural alternatives that can act as a stand-in during the detox process. There are a few options for those who struggle to slip into restful sleep. You may consider some or even all of these as a possible alternative while cannabis is not an option. For example, valerian root has been used for thousands of years as a sedative, and some may find it to be an effective, temporary aid to fall asleep faster and increase quality of sleep. It may be enjoyed in capsule or tea form. Some side effects and pharmaceutical interactions are possible, so consult your doctor before use. Another option for a restful night is chamomile. An herb that has been utilized as a sedative since ancient times, chamomile flower makes for a delightful sleep-inducing tea. Alternatively, chamomile is also often smoked to achieve the same results, making it a particularly alluring choice for those who are used to smoking or vaping cannabis before bed. Last but not least is magnesium oil, which relaxes muscles and calms nerves. Magnesium also happens to be a common deficiency among United States citizens, and low magnesium levels can increase stress and nervousness, which hinders sleep. As such, adding magnesium to a daily regiment can help improve quality of sleep. Topical magnesium oils are a good choice, as magnesium is well absorbed through the skin. Apply the oil as directed before bed. As always, consult a physician before use. Cannabis is a powerful anti-inflammatory, and many patients use it to soothe inflammation in various parts of the body. With cannabis out of the picture, consider adding turmeric to your regimen. Turmeric is a well-known, effective anti-inflammatory for conditions both in and outside the body. For those who aren’t sure how to incorporate it into a diet, turmeric is available in pill form and can be added to a daily vitamin spread. Consult with a physician before increasing turmeric consumption to avoid complications. For those who rely on cannabis to nurture a healthy appetite, it will be wise to aid digestion during a time of detox. Ginger oil improves digestion and decreases intestinal gas. 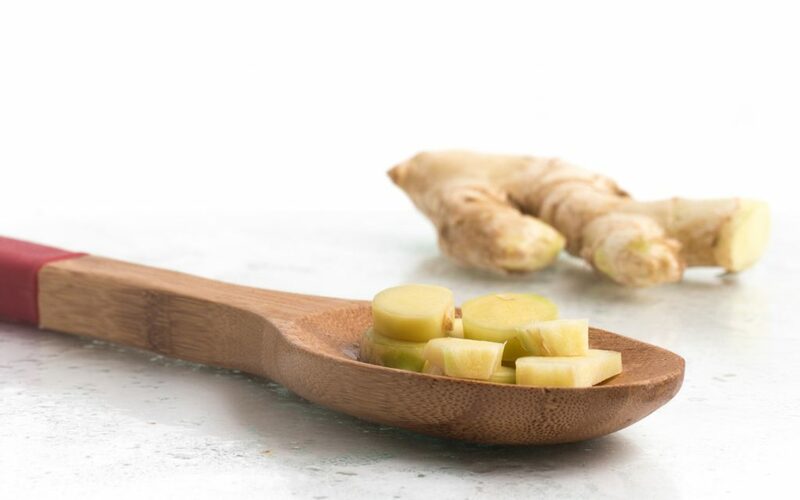 A cup of ginger tea in the morning, sweetened perhaps with a little honey, will be an effective way to kick start digestion and prep your stomach for food. Alternatively, some sources suggest certain herbs may stimulate and increase appetite. For mild depression, St. John’s Wort may provide relief by supporting elevated mood and a calm mind. The herb can be taken via capsule or tea. Some side effects and contraindications are possible, so consult a doctor before use. Similarly, Ashwagandha has been shown to be effective in improving mood and mental health. Originating from India, Ashwagandha, or “Winter Cherry,” is an Ayurvedic herb often used as an effective aid against anxiety and other mental health conditions such as depression. It is available in powder or tablet form. Consult a doctor before use. An alternative and perhaps more controversial option for treating anxiety is kava root. Native to South Pacific islands, this unique plant has a complicated history. While most tend to agree that kava is effective at sedating, calming, and soothing anxiety, some evidence suggests possible negative side effects on liver health. Speculation remains open, so caution is advised. Kava can be taken via capsule or tea. Next articleThe Science of Munchies: Why Does Cannabis Stimulate Your Appetite?